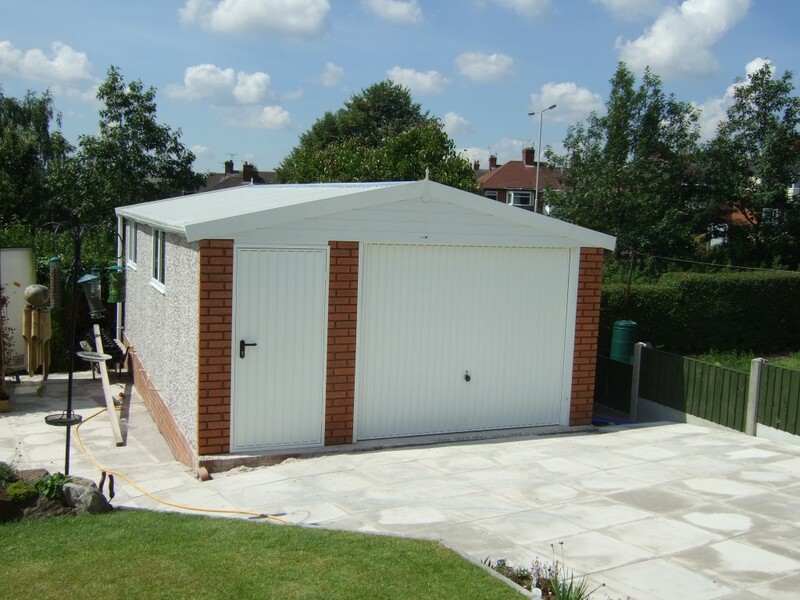 White Rose buildings offer a wide range of prefabricated garages which are custom designed and built to customers specification. 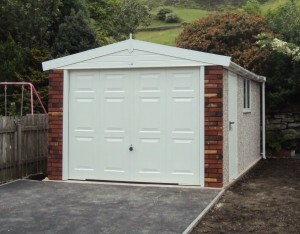 We are proud to introduce you to the most extensive range of prefab garages in the UK. Throughout our long established history, we have built up a reputation synonymous with quality and customer satisfaction. Operating out of purpose built premises, our policy of continual investment in plant and machinery and our commitment to using only the highest quality materials has enabled us to develop buildings to the highest standard. Each of our buildings are manufactured, delivered and installed by our highly qualified installers, therefore ensuring we can maintain our reputation of offering an excellent product as well as providing a complete service to the customer. Quality – Our manufacturer have invested in the latest machinery and methods to ensure that we offer you the highest consistent quality of product and design. Service – It’s not only machinery that we invest in. Our people are one of the biggest investments we make, and the return on that investment is the best service levels around for our customers. Peace Of Mind – Operating for over 20 years, We offer a wealth of experience from management to the shop floor to installation personnel. We offer a 10 year Structural Guarantee on the full range of garages, assuring you that your decision to purchase a prefabricated garage is the right one. Flexibility and Range – Unlike any other supplier we offer the most diverse prefab garages range in the UK, designing and building bespoke buildings to suit your needs. 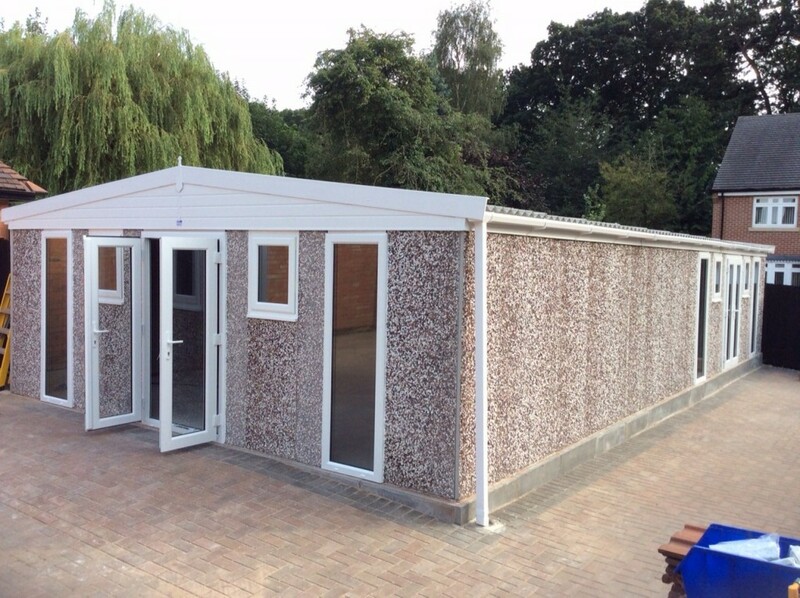 Our unique flexibility extends to extra height buildings, L-Shaped and tapered buildings in a vast range of sizes and finishes, all offered to ensure we can supply the building you want at the best value for money available. We will try our best to meet your demands. 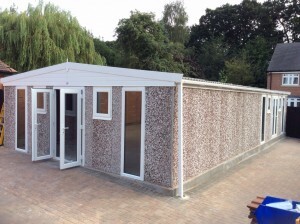 We can meet virtually any requirement for covered space, from a small shed, through to a workshop, a garage, large or small, right up to our range of Industrial Buildings. 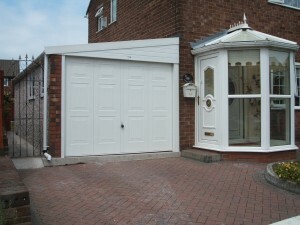 From storage to garage, from workshop to gym, from hobby room to music room – we can design a building to meet your needs.